HOCKEY HEROES: Facing up against an opponent, Glenbrook captain Chloe Carroll (left) readies herself for a play against a Loyola Rambler on Dec. 17. Gaining possesion of the puck, defenseman Addison Carr looks to advance up the ice against Loyola. Glenbrook tied with the Ramblers by a score of 2-2. 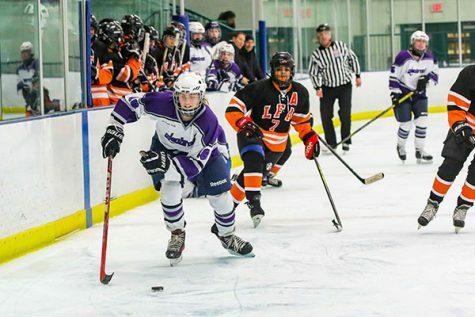 Before the puck drop of the iconic North vs. South men’s hockey game, junior Kat Poulos stepped onto the ice alongside her teammates, both old and new. Being honored as state champions as a team of girls coming from Glenbrook South, Glenbrook North, and Regina Dominican, the crowd went wild, putting aside their rivalries to honor a group of women who brought the schools together. 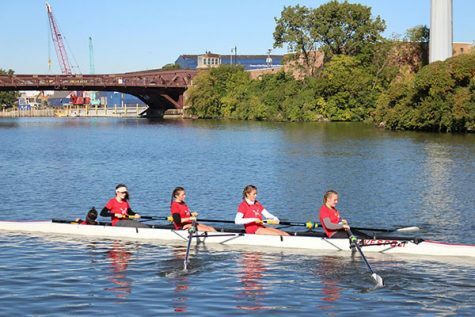 Last season, the women managed to go all the way to state and win the championship, beating Loyola seven to three. Winning state was a surreal feeling and beating Loyola made it especially exciting, according to senior Madison Itagaki. According to Poulos, the women play for a variety of travel clubs and played against some of their own teammates in the state final. 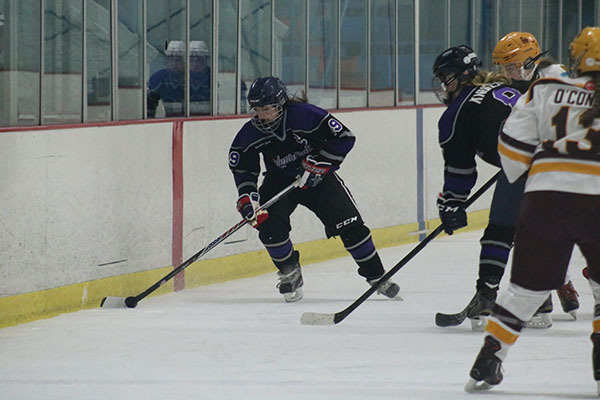 As for the current season, the women’s hockey team is looking to repeat as state champions, according to junior Lily Cataldo. 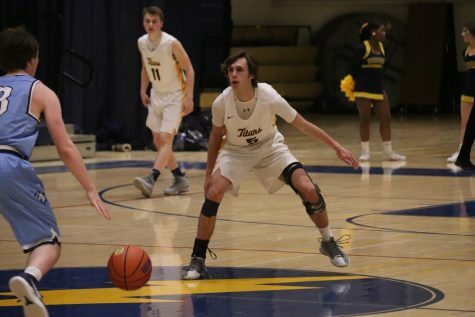 It will be more difficult this year according to Cataldo, as they are currently ranked number two behind New Trier, who the Glenbrook women’s team lost to seven to four earlier this season. The New Trier game was very back and forth, and down to the wire according to Poulos, with pressure coming from both ends of the ice. 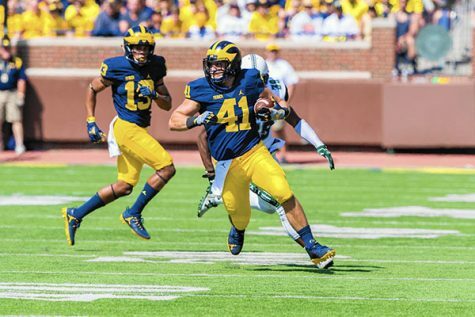 Poulos said the momentum shifted from team to team throughout the game, eventually falling in New Trier’s favor. 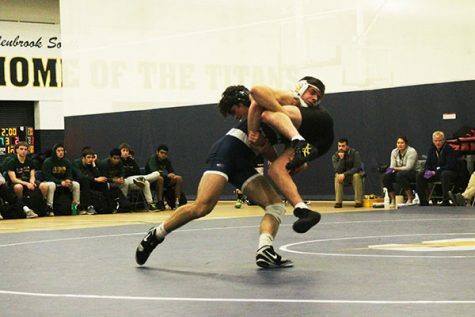 Following the loss, the team sees the Trevians as the their top competitor for the rest of the season. In order to win their next match up against New Trier, the women need to execute their plays properly and focus on protecting the front of their net, according to Poulos. 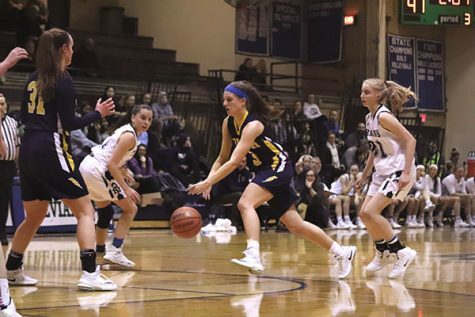 According to Poulos, the Glenbrook team lost some influential seniors from last year’s state championship team, including Caitlin Schneider, who currently plays division 1 at the university of Wisconsin, and Allie Karakosta, who attends New York University. Important players who remain from last year, according to Itagaki, include junior Maddie Dunham and Glenbrook North senior Chloe Carroll, who helped the team to their state championship win last year. As for the coaching, Head Coach Steve Hamelin has pushed the women hard to work together as a team, according to Itagaki. They encourage and correct mistakes so they can be learned from and improve their game as a whole, Poulos said. 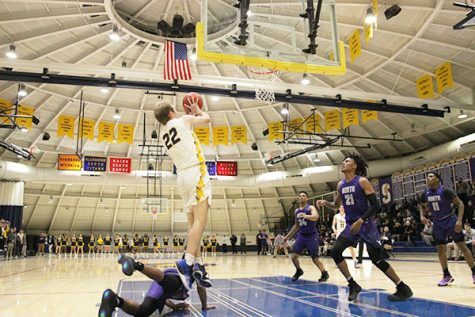 As the Glenbrook team looks to make a second straight run at the state championship, Loyola and New Trier are shaping up to be the two teams to beat, according to Poulos. The women’s tenacity and toughness has helped them to compete with the top teams and has helped them to contend for another state championship, according to Poulos. Poulos said the women are entering the final stretch of their season looking to defend their state title.